Hello! We are gearing up for a long holiday weekend here in the US and to celebrate, I've got a couple of bright, fun cards to show you. The Live More collection is all about doing just that: Making the most you can possibly make out of your life. There are so many great quotes in LM so I took a couple of those from different products and made them the basis for 2 greeting cards. 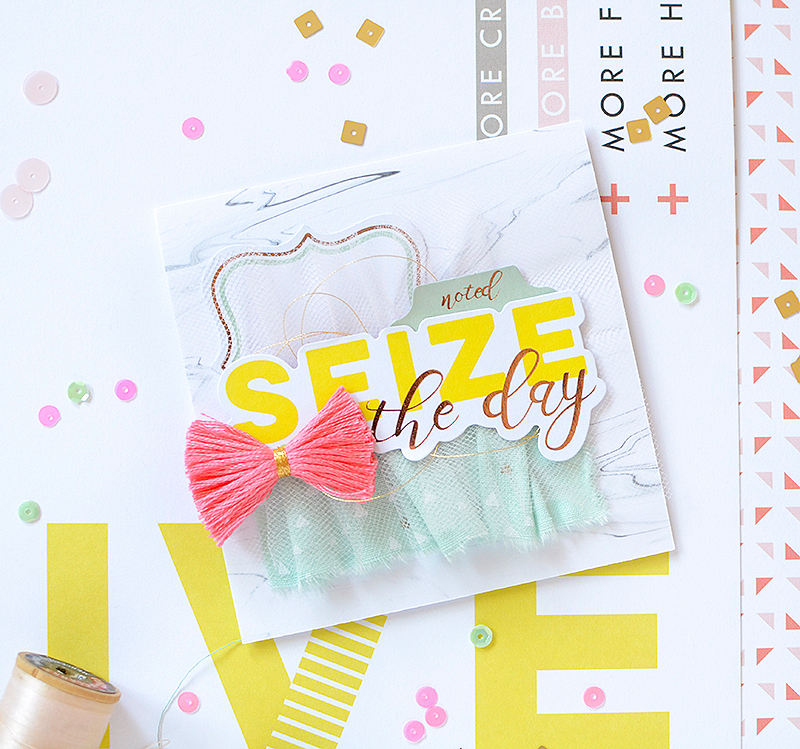 First up, "Seize the day" from the foiled die cut pack. That yellow is so bold that it's fitting for this sentiment. 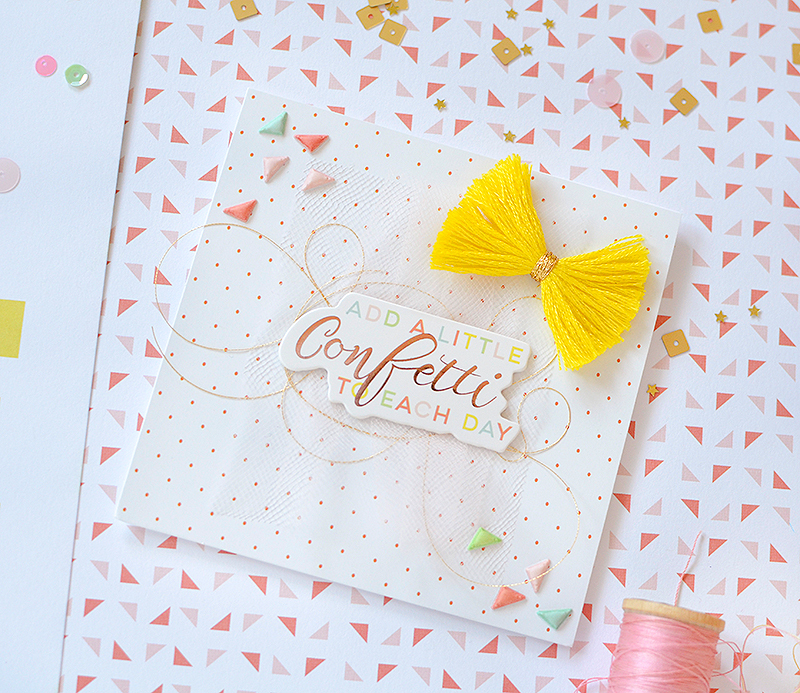 I really wanted it to pop so I used a section of the subtle marble patterned paper ('Embrace') as my card base--that paper is divine!! I brought in some minty elements with a couple more pieces from the die cut pack like the 'noted' tab and the label, layering them behind the main feature. 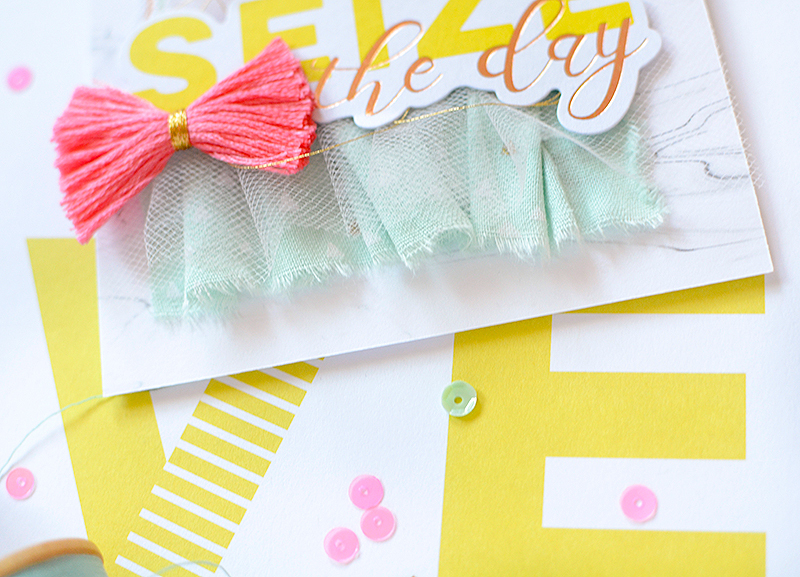 As I always love to do, I then added some textures like a gathered strip of mint fabric, pale pink tulle, metallic gold thread, and a pop of bubblegum pink by way of a fringe bow. The bright yellow, mint, and pink make me think of sunshine and spring so if you've got the winter blues, these are sure to perk you up a bit! The second card is not quite as bright, but it's no less fun! 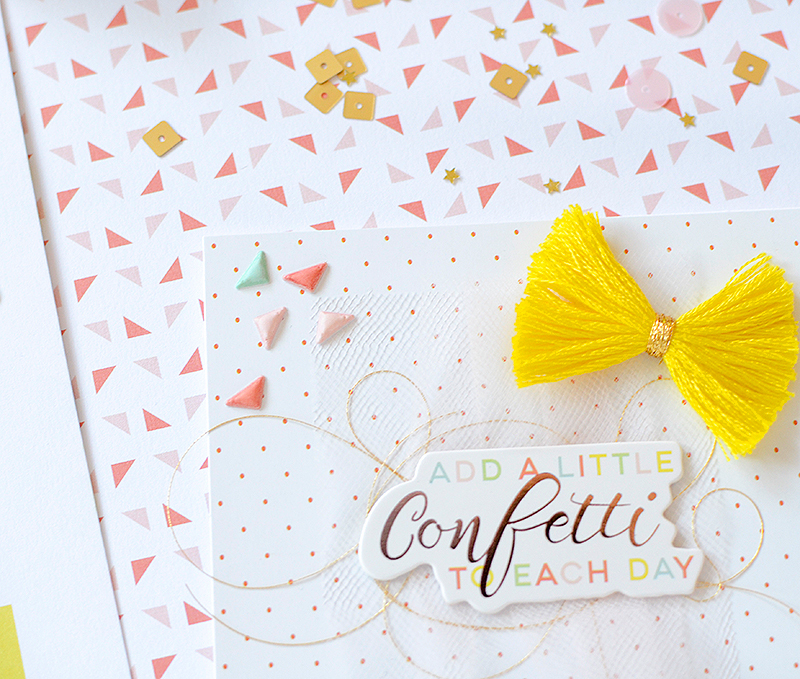 I feel like we should all be adding a little confetti to our days, don't you? 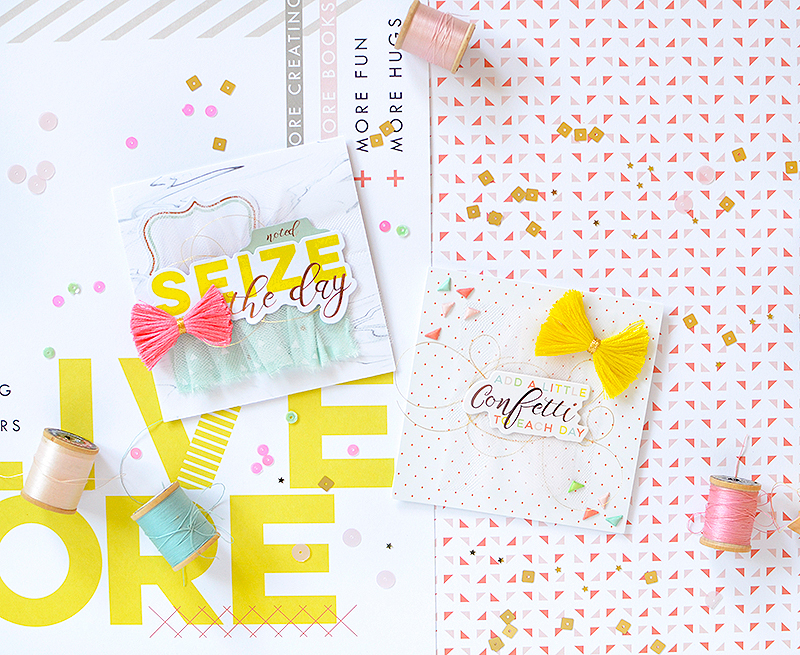 For the background paper here, I actually used some of the pretty Live More packaging. I trimmed down the polka dot backing that comes in most of the LM ephemera; this one happens to be from the Studio Puffs. I love the dainty dotted pattern, as well as the coral/orangey hue of them. 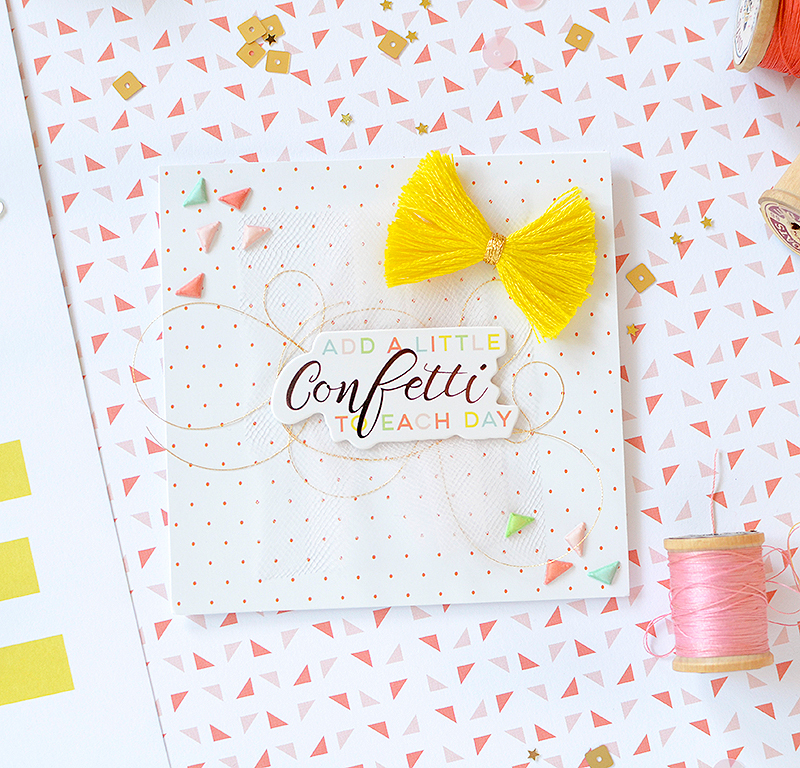 It felt a little confetti-ish, too, and a delicate pattern like this one on a small canvas such as this 4" x 4" card doesn't overpower the rest of the design. I nested the chipboard sentiment on a layer of tulle with wisps of gold metallic thread underneath it. 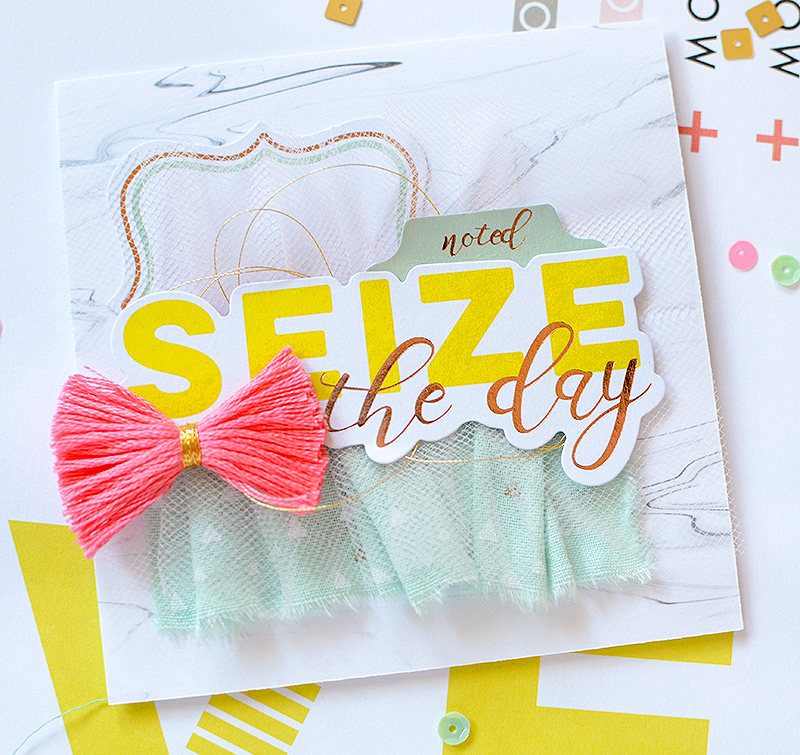 As with the "Seize the day" card, I used yellow for that bright color pop by way of another fringe bow (which I make out of embroidery floss, FYI). 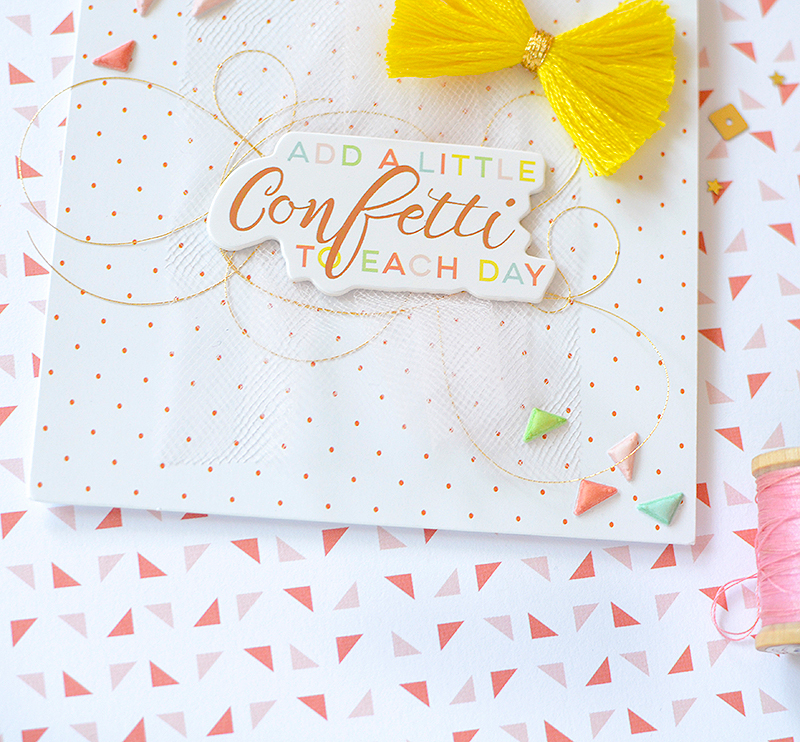 Don't forget to add a little confetti to YOUR day! Rebeca Preciosos sobres me encantaron ,!! !